For those who love people who adore tattoos, certain designs and themes are usually being preferred and are stereotypically associated with one gender over the other. For example, lower back tattoos are usually found in women enthusiasts while men usually have the shoulder tattoos. In this article, we will showcase a tattoo preference that is commonly seen amongst men but slowly getting popular with women nowadays, and that is the sleeve tattoos. Sleeve tattoos are tattoos that cover most of the arm of the bearer. Usually it has intricate, colorful and large designs that envelop the whole arm just like wearing long-sleeved shirts. When designed perfectly, a sleeve tattoo can turn the look of a woman from simple to wow. 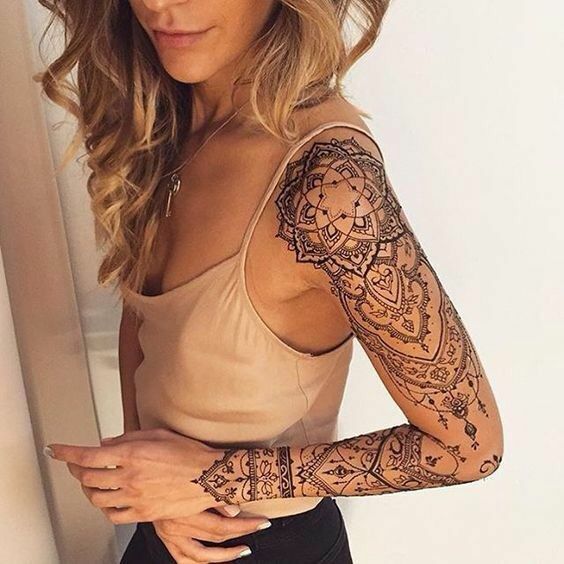 It adds allure and sexiness to a woman which when during intimate moments, sleeve tattoos are the only thing that men cannot stripped from their lover’s body.